Output power - Max 2 x 20W Average Luminous Flux - >2800Lm IP Rating - IP25.. The replacement task light tube that can be used for 240 volt or 110 volt version lights. The tube p.. The Lighthouse L/HEHAWKHEAD Elite Focus Headlight is a rechargeable high performance headlight featu.. The Lighthouse 140 lumen Elite Focus has three functions: high, low and strobe. This top of the rang..
Lighthouse Elite Nova torches are high performance spotlights that feature CREE LED.. The Lighthouse Extender is a truly versatile torch that features 1 LED spotlight, a unique 15/30 LED.. The Faithfull plasterers lights are made from a sturdy steel construction and polycarbonate lens cov.. This Faithfull FPPSLTL38WML Task Light is a powerful worklight, with a 38 watt fluorescent tube moun.. Lifetime - 30000 H IP65 3 x AAA Batteries.. LED 1 x 1W Cree P2 75 Lm 3 x AAA Batteries Lifetime 10000H Light - 50 meters Ip65 Case Include.. This headlight features 8 super bright 30 lumen LEDs with three output options, with a working life .. This Lighthouse headtorch is a high performance headlight featuring a super-bright CREE LED, focus c.. Featuring the very latest technology incorporating an ultra bright 80 Lumen 1 watt white LED with a .. Batteries - 3 x AAA Distance - 10-15 Meters Time - 70 Hours 6 x LED Clip & Tactical Switch.. Batteries - 3 x AA included Distance - 20 Meters Time - 300 Hours LED x 8 Clip & Tactical Switc.. Batteries - 3 x AAA included Distance - 10-15 Meters (3 x LED) Time - 50 Hours Distance - 75 Mete.. Batteries - 3 x AAA Distance - 20 Meters Time - 100 Hours 5 x LED..
Operating Time - 100 H (5 LED) 400 H (2 LED) Beam Range - 20 Meters Lu.. The Ledco LED1041TP H3 head lamp series contain an integrated dimmer switch which allows the user to.. Batteries - 3 x LR44 Distance - 5-10 Meters Time - 100 Hours 1 x LED.. Batteries - 3 x LR44 Distance - 5 Meters Time - 100 Hours 1 x LED.. 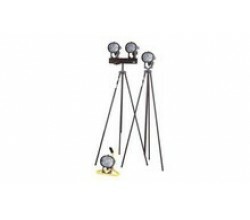 Batteries - 3 x AAA Distance - 10-15 Meters Time - 60 Hours 3 x LED Distance - 10-15 Meters T..
Halogen Main Beam - 3.5 Hours LED Working Beam - 24 Hours Weather Proof Shock Proof Case Mains C.. The Lighthouse L/HBOLT3W is a versatile three mode rechargeable torch, that can function as a powerf.. Bright 9 LED Pocket Torch (Display of 12). With 30 Lumens and an anodized aluminium case which is wa.. The Lighthouse LED Krypton Dual Mode Torch is manufactured from anodized aluminium with machined cas..
A heavy-duty swing leg tripod with Class ..